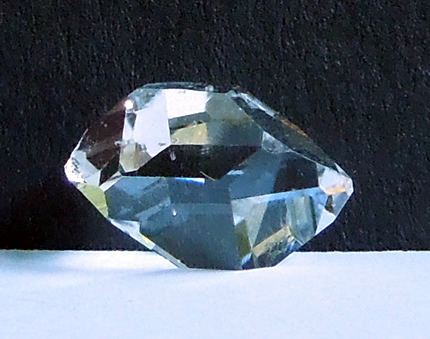 This quality Herkimer Diamond is eye clean and generous in size for an AA grade. 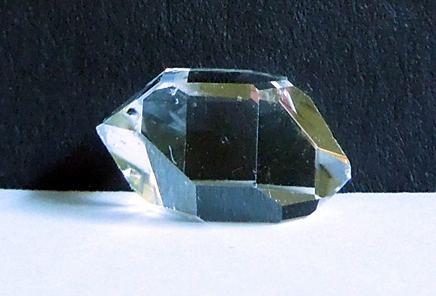 A Herkimer Diamond is actually a raw quartz crystal. 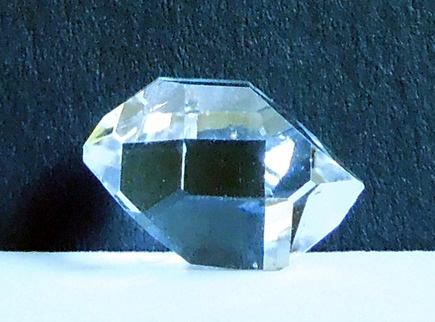 Herkimer, NY is one of the few placed on earth that these brilliant, naturally double terminated crystals are found. They can be found loose in the dirt; and in pockets or vugs in the rock. Mining the diamonds out of the rock can be a back-breaking process. 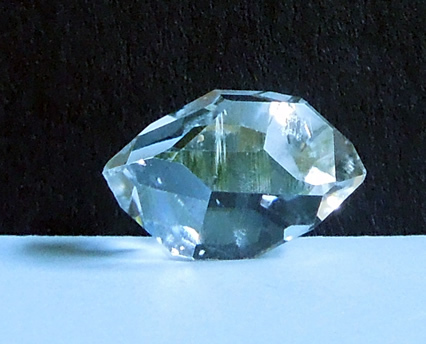 We grade less than 5% of Herkimers mined as AA grade quality. Of these, maybe 5 of 100 is 12 mm (½") or larger. Anything over 20 mm is very rare. 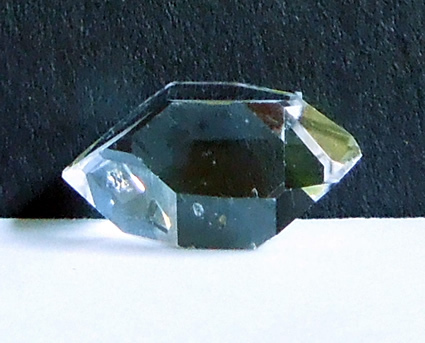 This quality Herkimer Diamond has a bright, rich hue. 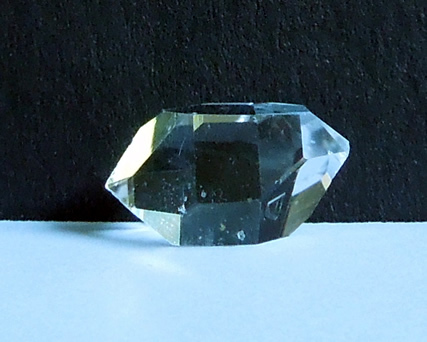 Quality Herkimer Diamond, natural quartz crystal.